AT&T(s t) may have its sights set on connecting the home, but its archrival Verizon Wireless(s vz)(s vod) has a more mobile target in mind: the connected car. It has long talked up its dream of connecting anything with wheels and a motor to its LTE network, but in recent weeks it has gotten even more aggressive in the automotive space. VZW’s parent company, Verizon Communications, revealed on Friday it is buying up Hughes Telematics, which powers M2M applications in both consumer and commercial vehicles. 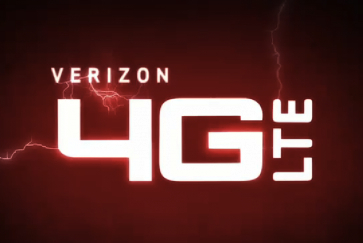 On Wednesday Verizon announced the formation of the 4G Venture Forum for Connected Cars, whose mission is exactly what that name implies: finding ways to use LTE to power future automotive telematics applications. BMW, Honda(s hmc), Hyundai, Kia and Toyota(s tyo) have all joined the forum, but the big three automakers from Detroit are all absent. That’s surprising, given how closely Verizon has worked with U.S. automakers on concept vehicles and apps in the past and considering how aggressive Ford(s f) and General Motors(s gm) have been in the connected-car space. Their absence may just be a matter of timing — the venture just got off the ground on Wednesday — but it also might be attributable to the fact that U.S. automakers’ visions for the connected car aren’t entirely aligned with Verizon’s. They don’t necessarily want LTE in the car — at least not embedded in the dash. 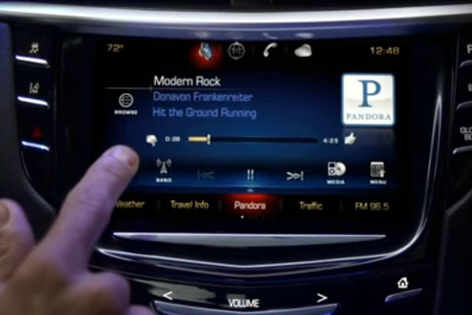 While U.S. automakers embrace the idea of embedded radios for emergency services and vehicle-to-vehicle telematics, when it comes to infotainment they would rather you bring along your own connectivity. Two of the biggest connected-car platforms, Ford’s Sync and Cadillac’s CUE, depend on drivers using their own smartphones to link their apps to the network. The logic is sound: Consumer vehicles have long replacement cycles. Meanwhile consumers trade in their smartphones for more-sophisticated models every 18 months. Any radio, processor or platform technology an automaker embeds in a car could become obsolete within a few years. As a new technology, LTE will have a long overall shelf life, but like any wireless technology its performance will improve gradually. New smartphones will be able to take advantage of those improvements in speed, capacity and efficiency, while the radios embedded in the chassis of your car will not. Many governments are requiring that all future cars have some form of embedded connectivity for safety reasons. And it looks like embedded M2M modules will come standard in all future electric vehicles to assist with power management. It seems like those trends would represent a big opportunity for carriers to entrench their 4G services into the dashboard. But don’t hold your breath, Airbiquity marketing VP Leo McCloskey told me in a recent interview. Airbiquity provides technology for connected-car platforms, and McCloskey believes automakers will tackle embedded connectivity in the car with the barest of radios. GSM/EDGE networks will have more than enough juice as well as the necessary coverage to supply basic emergency call and location services and enable key applications such as remote door unlocking and tamper alerts. The big bandwidth infotainment apps, however, will continue to rely on the smartphone as a conduit, McCloskey said. “They’re going to keep in-car connectivity very low speed,” he said. If the LTE-connected-car never comes to pass, Verizon won’t be able to rake in millions of new 4G subscriptions, but it still stands to benefit plenty. The data may be piped through the phone, but these apps will still need LTE levels of bandwidth to feed the rear-seat video monitors, 3D navigation systems, surround-sound stereos and other infotainment apps making their way into vehicles. It’s one connection, but a connection that consumes many more gigabytes. Doesn’t Chrysler-Fiat offer a MOPAR add-on for 3G already?